3D models represent a 3D object using a collection of points in 3D space, connected by various geometric entities such as triangles, lines, curved surfaces, etc. 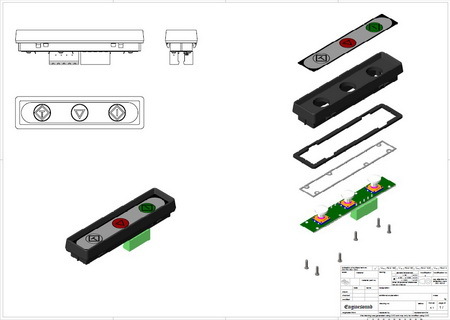 Almost all 3D models can be divided into two categories. Solid and Shell/boundary. There are three popular ways to represent a model: a) Polygonal modeling - Points in 3D space, called vertices, are connected by line segments to form a polygonal mesh. b) Curve modeling - Surfaces are defined by curves, which are influenced by weighted control points. c) Digital sculpting - a fairly new method of modeling. Advantages of wireframe 3D modeling over exclusively 2D methods include: a) Flexibility, ability to change angles or animate images with quicker rendering of the changes; b) Ease of rendering, automatic calculation and rendering photorealistic effects rather than mentally visualizing or estimating; c) Accurate photorealism, less chance of human error in misplacing, overdoing, or forgetting to include a visual effect. We can delivery a wide range of different motors, which can be simply divided into two groups: AC motor and DC motor. AC motor includes single phase AC motor (S-series) and three phase AC motor (Marathon motors), synchronous motor and asynchronous motor. 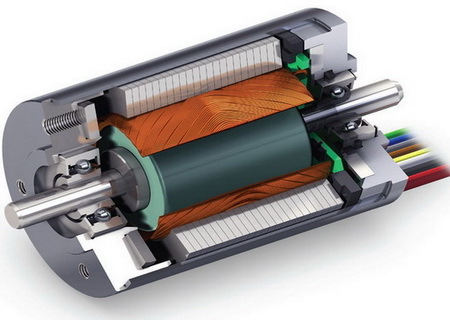 DC motor includes brushed DC motor (R-series) and blushless DC motor (E-series). Gears consist of two types: spur gears and planetary gears. 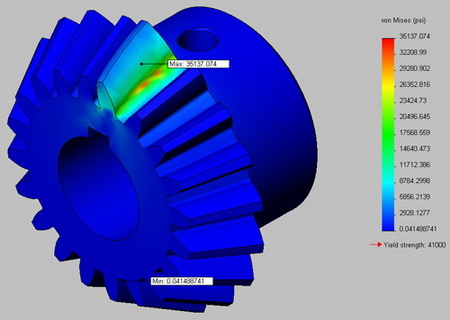 Spur gears have been optimzed for positioning application. They are used for cost sensitive situations. Planetary gears have better accuracy and performance than spur gears. They are ideal for high accuracy positioning applications. In mathematics, the finite element method (FEM) is a numerical technique for finding approximate solutions to boundary value problems for partial differential equations. It uses variational methods (the calculus of variations) to minimize an error function and produce a stable solution. Analogous to the idea that connecting many tiny straight lines can approximate a larger circle, FEM encompasses all the methods for connecting many simple element equations over many small subdomains, named finite elements, to approximate a more complex equation over a larger domain. ARM is a family of instruction set architectures for computer processors based on a reduced instruction set computing (RISC) architecture developed by British company ARM Holdings. 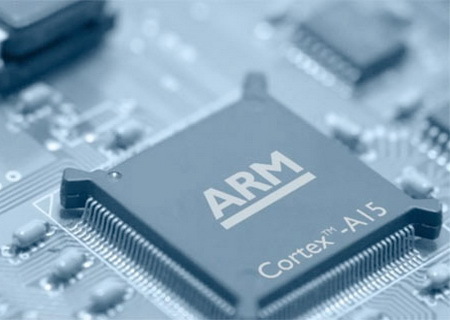 ARM processors require significantly fewer transistors than typical CISC x86 processors. This approach reduces costs, heat and power use. These are desirable traits for light, portable, battery-powered devices—​including smartphones, laptops, tablet and notepad computers, and other embedded systems. ARM is the industry's leading supplier of microprocessor technology, offering the widest range of microprocessor cores to address the performance, power and cost requirements for almost all application markets. With over 1000 partners delivering silicon, development tools and software, more than 30 billion processors sold with more than 16M sold every day ARM truly is "The Architecture for the Digital World®". A field-programmable gate array (FPGA) is an integrated circuit designed to be configured by a customer or a designer after manufacturing – hence "field-programmable". The FPGA configuration is generally specified using a hardware description language (HDL). Contemporary FPGAs have large resources of logic gates and RAM blocks to implement complex digital computations. 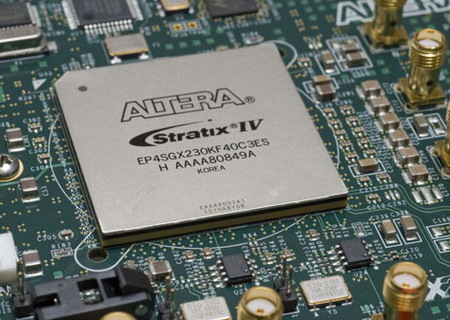 FPGAs contain programmable logic components called "logic blocks", and a hierarchy of reconfigurable interconnects that allow the blocks to be "wired together". Technically speaking an FPGA can be used to solve any problem which is computable. Their advantage lies in that they are sometimes significantly faster for some applications due to their parallel nature and optimality in terms of the number of gates used for a certain process. Industrial applications include industrial imaging, industrial networking and motor control. A digital signal processor (DSP) is a specialized microprocessor, with its architecture optimized for the operational needs of digital signal processing. The goal of DSPs is usually to measure, filter and/or compress continuous real-world analog signals. 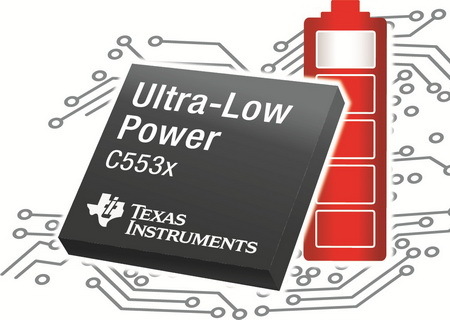 Most general-purpose microprocessors can also execute digital signal processing algorithms successfully, but dedicated DSPs usually have better power efficiency thus they are more suitable in portable devices such as mobile phones because of power consumption constraints. DSPs often use special memory architectures that are able to fetch multiple data and/or instructions at the same time. 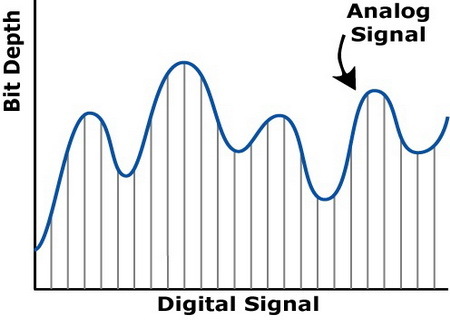 An analog signal is any continuous signal for which the time varying feature (variable) of the signal is a representation of some other time varying quantity, i.e., analogous to another time varying signal. For example, in an analog audio signal, the instantaneous voltage of the signal varies continuously with the pressure of the sound waves. It differs from a digital signal, in which a continuous quantity is represented by a discrete function which can only take on one of a finite number of values. An analog signal has a theoretically infinite resolution. In practice an analog signal is subject to electronic noise and distortion introduced by communication channels and signal processing operations, which can progressively degrade the signal-to-noise ratio. In contrast, digital signals have a finite resolution. Converting an analog signal to digital form introduces a constant low-level noise called quantization noise into the signal which determines the noise floor, but once in digital form the signal can in general be processed or transmitted without introducing additional noise or distortion. 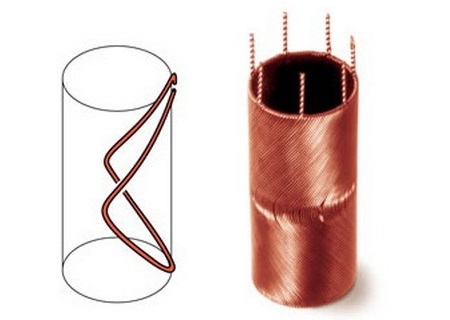 The heart of DC motor is the ironless winding. The motor principle has specific advantages. There is no magnetic detent, minimal electromagnetic interference, very high efficiency up to 90%.